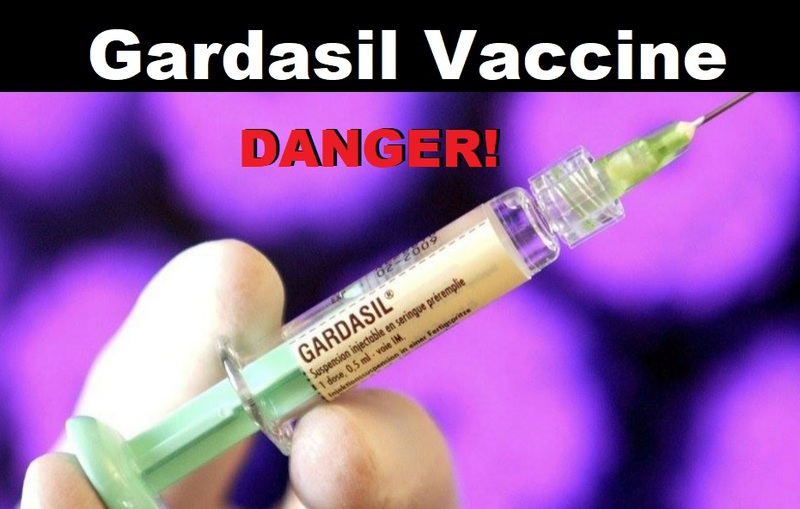 America's Vaccine Civil War: Will Negative News on Gardasil Turn the Tide in 2018? In December of 2017 Slate magazine published a report on Gardasil from a Danish reporter titled: What the Gardasil Testing May Have Missed. Slate is part of the corporate mainstream media. Like other corporate media groups, Slate is religiously pro-vaccine, and spouts the mantra that "the science is settled" when it comes to vaccines, an obvious anti-science statement in itself which resembles religious belief more than anything "scientific." Here is an example of what you will read about vaccines on Slate: "There are two sides to almost every story, and sometimes we publish both of them. That’s true even for science. But three areas of science are beyond scientific debate even though they are still debated by a lot of people. Evolution and climate change are two. The other is vaccines." So if Slate has publicly stated in the past that the science of vaccines is settled and beyond debate, what was the purpose of this report published last month about Gardasil criticizing safety studies conducted during the approval process? *Whether the vaccine prevents cervical cancer. *Complete list of ingredients including contaminants, also ingredients protected by trade secrets. *Types and amounts of DNA contaminants for all batches. *Complete information and transparency regarding manufacturing processes, all culture media etc. *Independent inspection of all manufacturing processes. *Increased risk of cancer due to replacement and ingredients including aluminium bound recombinant HPV DNA. *Evidence to justify several doses. *Autoimmune disorders (which may occur up to years after vaccination). *If cervical cancer is caused by HPV or if there must be additional factors for this to occur. If so, which other co-factors are involved. *Whether the vaccine targets the relevant virus strains in different demographics and different age ranges. *Change of strains in time, replacement. *Adverse events due to concomitant administration with other vaccines. *True numbers of serious adverse events including long-term. *True numbers of vaccines administered, including worldwide. *True numbers of cervical cancer cases including worldwide. *Manipulation of clinical trials including false placebo and other research fraud. *Results of clinical trials if the manufacturer had not used own exclusion criteria. *Deaths(including deaths due to accidents which result from vaccinated feeling unwell). *Blood clots with or without hormonal contraceptives. *If vaccinated may donate blood without serious health consequences for recipients. *Toxicity of ingredients including long-term. *Destabilization of the hormonal balance, females and males. *Aluminium safety and genetic predisposition to injected aluminium. *Consequences of age bridging in the trials. *Unnaturally high antibody titres after vaccination. *Manipulation of statistics for adverse events. *Conflicts of interest, corruption and criminality. *Manufacturer’s bribery and payment of experts and politicians to recommend the vaccine. *Industry’s financial influence on medical publications. *Influence of vaccine industry on medical faculties. *Manufacturers’ lack of judicial and ethical responsibility and lack of accountability regarding injuries. *Biased, misleading and incorrect information (including statistics) in the media. *Hyping of benefits, lack of unbiased investigation of harm. *Peer pressure regarding potential vaccine recipients. *Involvement of schools concerning vaccination. *Doctors’ and vaccine nurses’ lack of knowledge, presentation of incorrect information. *Global editorial censorship, censorship of unbiased research studies. *Manufacturer’s concealment of information and incorrect information presented to politicians, health authorities, medical publications, doctors, nurses, the general public, media, potential vaccine recipients and others. *Biased management of package inserts and other information to vaccine recipients and others. *Lack of transparency and inappropriate response by health authorities and others regarding serious questions concerning the vaccine. *Inappropriate behavior including harassment by manufacturers, health authorities, doctors, media (including social media) and others towards doctors and others who ask well founded, critical questions. *Lack of true investigative journalism. *Inappropriate treatment of doctors and others who help vaccine injured using “unestablished” treatments. *Incorrect psychological diagnoses of vaccine injured. *Lack of training of doctors regarding vaccine injuries. *Lack of follow up of recipients including those in developing countries who become ill after HPV vaccines. *Inappropriate and lack of satisfactory treatment of vaccine injured, families and carers. *Whether the claimed benefits outweigh potential risks.